This is a For Your Information post. 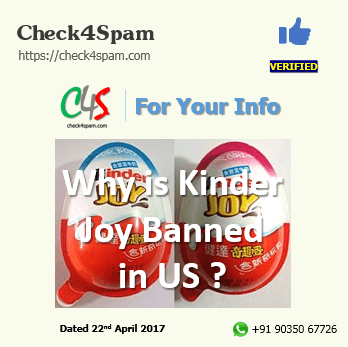 Please find more details about Why is Kinder Joy banned in US at this article. Kinder Joy is banned because of a probable safety issues with the toy in it if used by small kids. To answer the legal question, the 1938 Food, Drug and Cosmetic Act is the law most cited to justify the embargo on Kinder Eggs. Because a toy is kept inside a confection, Kinder eggs are embargoed from point of entry into the US. Customs and Border Protection not only confiscated the Kinder eggs, but also fined the family $1,200 [£787] per egg, or $12,000 [£7,870] total. So, don’t try this, unless you’re willing to pay a hefty price. WHY ARE KINDER SURPRISE EGGS ILLEGAL IN THE US? The problem is the small plastic toy inside the Kinder Egg. 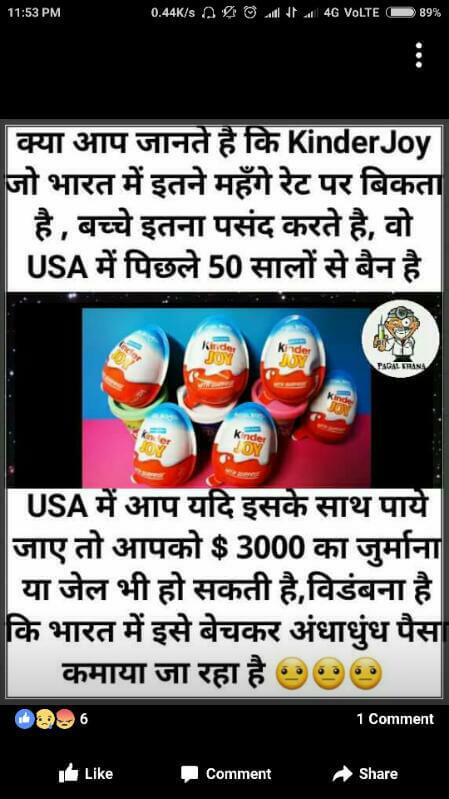 Yes, as on the date of this post Kinder Joy is still banned in US.